The way we buy online is changing rapidly. Gone are the days in which we would have to wait until we got home to our desktop or laptop computers to send our orders, as thanks to the rise in technology we are now able to make purchases on the go via mobiles and other handheld devices. In recent years we've seen a massive increase in mobile sales, with experts predicting it will grow further by over 80 per cent in 2015. Retailer eBay now sees 40 per cent of their listings now being touched by handheld devices. Due to this rise, we now provide a true device responsive eBay store experience which can be bolted onto your eBay responsive listing design. Unfortunately, viewing the internet on a mobile device is not always the user-friendly experience online companies are aiming for. This is mainly due to the constraints of screen size, which means that a different layout is required – and this isn’t helped by the varying size dependent on the device itself. However, responsive web design allows a site to be viewed and used with ease regardless of the device as it changes the layout to suit each in turn. Customers using a responsive page will feel secure in the use of the site’s navigation system/set-up as it will remain fluid amongst all devices, and additionally this helps to maintain a consistent look and feel for the brand. Having a responsive design is actually more cost effective for businesses as it reduces the need for more websites, such as a mobile version, which would take up not only more hosting costs but also in their development and content. This too allows for your SEO to be optimised to its full potential with there being fewer sites to manage. It also means companies can reach a new audience who may have not have been confident with a computer, but can get to grips with easier to use tablet devices. For eBay sellers in particular, this style of design allows users to access easier to read content, and view the detailed descriptions. This in turn will improve sale conversion as customers will have access to increased information about the product, and will feel more confident in the purchasing process. It also allows for the page to be more interactive as the listings offer a supported ‘pinch and zoom’ gallery which has become commonplace for images on mobile devices. If you want your company to stay up with technology, and be prepared for any future changes, implementing a responsive design now is the simplest way to do this. Development costs will be reduced, visibility in search engines will improve and your customers will feel more confident in the new unified online environment. If you are unsure about eBay store design or require some consultation advice, why not make the whole process that extra bit easier and let us help your business thrive on eBay? We’ve had over 10 years working on the eBay platform, and can provide extensive functionality and fully responsive design solutions. We can handle the store and listing design, implementation and test everything to make sure it is working. 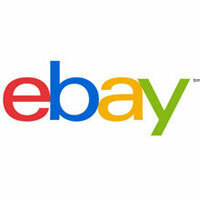 This will help to ensure a cost-effective launch of your brand and products on eBay. Our award winning designs have seen us work with over 600 businesses on over 1,000 web projects.